15 patents are credited to Bob that I can see listed. One writer named Bob one of the five most influential people in the history of audio. Consider the path since the coffee can amp upended the MacIntosh amplifier clinic and exceeded their ability to measure the power and left them shaking their heads. 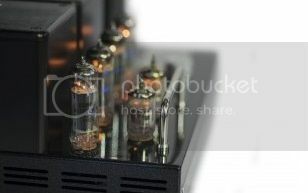 Look at how the Phase Linear amplifiers still have left a mark on amplification this many years later. And then the later broad swath the Carver SS amps cut on the audio world. “Bob’s my name, power’s my game!” Ponder the success of the 4000 series preamp and it’s being in production for 15 years...from the Phase Linear days through much of the Carver Corporation day. Then the success of the ALS line of speakers, still being refined and grown yet today. Look at the present day continuation of the Carver Silver Seven tube amplifier… into the Black Beauty, Black Magic and the Cherry models. Desirable tube ampifiers by anyone’s measure! At CarverFest for the past 10 years and counting, we have celebrated Bob's designs...especially the amplifier and speaker designs. And to our incredible pleasure, we’ve been able to do this with Bob himself! The treat of this, his stories and his passion for audio is a pleasure for every moment we enjoy at the cabins. So this year, I’d like to suggest we extend this recognition of Bob’s work into an area we’ve perhaps under recognized at CF. I’d like to suggest that we make the effort to celebrate the mark Bob’s designs have left on the tuner world. I sat through a presentation within the last couple years to professional broadcasters where the Carver TX-11 was lauded as an incredibly transparent and unique tuner well worth its going price (and more) on the street. It was being suggested as an example tuner for the difficult challenges of todays broadcast world, with its noise and multipath reduction circuits and wideband reception front end. This is again an amazing display of the recognition of the innovative design that has stood the test of a significant amount of passing time! What I would love to see is a Carver designed tuner in every rig possible at CarverFest 2017. In return, an extremely unique source will be available for your listening. An experience that will showcase the very best today’s technology can achieve. And source material that will be a one time experience, a collection of audio never before done or to be repeated. Fun enough, you will regret if you can’t long form record the result. Let's step up to this further recognition and appreciation of Bob and his amazing achievements that has brought us all so much fun and pleasure. Sound interesting? Last edited by BrianT on Tue Apr 11, 2017 5:08 am, edited 1 time in total. I've brought tuners in 2010 11 and 12 and no one so much as turned them on. Rock on Mark!! Magnaryder wrote: I've brought tuners in 2010 11 and 12 and no one so much as turned them on. Rock on Mark!! Headphones? Whatta ya do with those??? I guess we'll see what happens in the phones. Magnaryder wrote: I guess we'll see what happens in the phones. Got you some ZROCK Mark? Magnaryder wrote: Got you some ZROCK Mark? I've never had a Camaro Cookie. radioeng2 wrote: What I would love to see is a Carver designed tuner in every rig possible at CarverFest 2017. Is a Sunfire UR allowed? My plan was to bring one. If it'll play R&R and it's from one of Bob's companies then it oughta make Bob and us smile....so we should be good!! Glad to hear you'll be able to add to it, LT! Thanks. I am eagerly looking forward to CF2017, too. Sounds like it will be fun Markie!! I will be bringing a TX-11 to see what you have planned!